It’s been six months since Titan Fighting Championship last held a card on U.S. soil. The organization has only hosted one event in the meantime, and it came halfway around the world in Kazakhstan. Now back at Xtreme Action Park in Fort Lauderdale, Fla., the venue that has housed every American outing for Titan FC since late 2017, the organization has plenty to offer in its 52nd show. 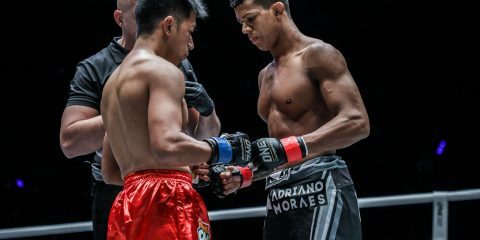 The lineup features two title bouts, including the headlining featherweight championship affair in which undefeated Jason Soares puts his belt on the line against Brazilian challenger Caio Uruguai. Soares has been plying his trade professionally since 2012, when he made his debut in Mexico with a knockout finish of Daniel Hernandez. He became a mainstay of the Fight Time promotion for four years, and he reeled off 10 victories and a featherweight championship reign during his stay with the organization. “The Specimen” accumulated six finishes before fighting for the vacant Fight Time featherweight strap. He locked in an armbar in the first round to submit Randy Barosso and claim the gold. After a non-title fight under the Fight Time banner and a failed bid on The Ultimate Fighter 22, Soares returned to defend his title with a fifth-round submission of Danny Chavez and a decision nod over Guilherme Faria. His TUF campaign ended with a majority-decision loss to Julian Erosa. The Freestyle Fighting Academy product finally ventured outside of Fight Time to challenge Luis Gomez for the Titan FC featherweight crown. Soares sunk in a rear-naked choke early in the fourth frame of their contest to submit Gomez and claim the strap. The 29-year-old now has eight submissions and one knockout victory on his still-perfect resume. The 25-year-old Uruguai made his pro debut in 2013. 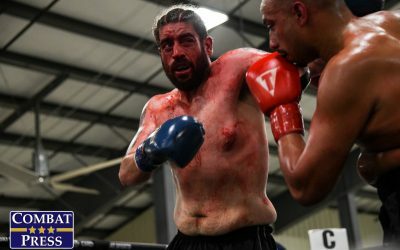 He earned three wins before jumping to the Legacy Fighting Championship organization, where he scored a first-round knockout of James Warren. The Brazilian then joined the Titan roster and made his promotional debut at Titan FC 38, where he squeaked past Peter Petties via a split verdict. 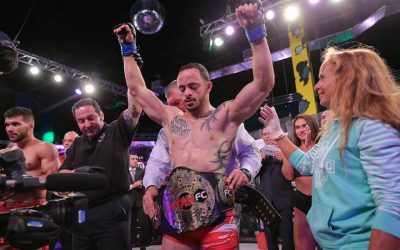 He added a submission finish of Ramon Martinez at Titan FC 41, but he suffered a setback at Titan FC 43 when he dropped a unanimous decision to Michel Quiñones, who used the victory as a launching pad to a failed UFC run. Uruguai bounced back from the defeat to claim a unanimous nod of his own over Juan Villaseca at Titan FC 49. 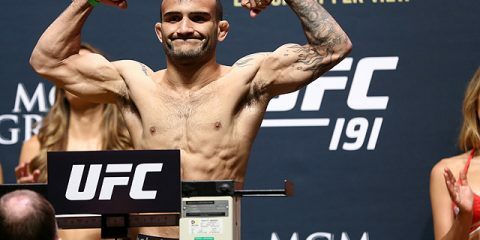 Soares has made an inspirational comeback from a motorcycle accident that left the aspiring fighter battling to even walk again, let alone fight. That accident only slowed Soares down for a matter of months, though. He’s looked every bit of the three-sport athlete he was in high school. Soares, who has a wrestling background, performed admirably even in the losing effort against Erosa. Erosa dished out just enough damage to Soares while Soares pursued takedowns, and this was likely the difference in the fight’s outcome. 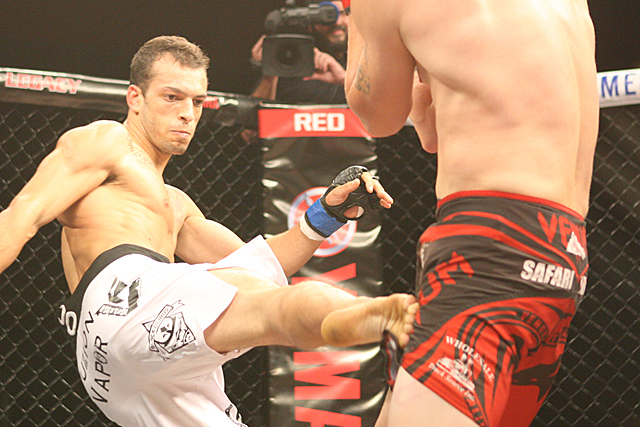 Soares has been a dominant fighter throughout his pro career. The few fights of his that did go the distance ended in a decisive verdict for the wrestler, and he’s scored a very impressive number of finishes. This is far different than Uruguai’s path to this fight, which includes a decision loss to Quiñones, the best fighter he’s encountered, and two verdicts in which the Brazilian just barely edged out his opponents, fighters who now hold underwhelming 3-2 and 7-4 marks, respectively. Soares is a fighter on the verge of a UFC contract. His wrestling chops and aggressive submission games should be more than enough to run circles around his counterpart in this fight. Soares has made a habit of putting his opponents away, and he’s a good bet to become the first man to stop Uruguai short of the final bell, most likely via a rear-naked choke. Route 66 Casino Hotel in Albuquerque, N.M. The Legacy Fighting Alliance heads to Albuquerque, N.M., for its 58th event. The lineup does not feature a title bout, but it could still serve as a UFC audition for one of its headliners. Jaleel Willis, who has found plenty of success at the welterweight level, drops down to the lightweight division, where he’ll lock horns with Harvey Park. Willis has a history of wins under more than one top promotion. 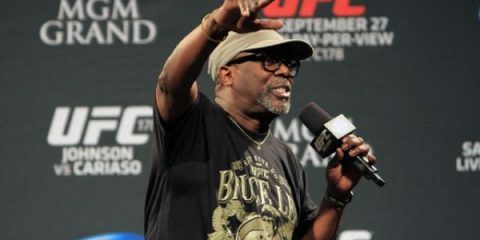 After debuting in 2014 and posting five victories, “The Realest” moved to the World Series of Fighting and topped fellow undefeated prospect Chauncey Foxworth at WSOF 27. His next stop was Bellator 162, where he decisioned Omar Johnson in a 160-pound catchweight postlim contest. Then, he returned to V3 Fights and captured the promotion’s vacant welterweight title with a unanimous nod over Nolan Norwood. Willis was on the losing end of his LFA debut. The 26-year-old went the three-round distance with future UFC fighter Kyle Stewart in the LFA 33 headliner, but the judges awarded Stewart with the victory. The 26-year-old Memphis, Tenn., native rebounded with a 70-second knockout of Chel Erwin-Davis at LFA 42. Willis has stopped five opponents with strikes, but he’s gone the distance in his four of his five most recent bouts. Park, who works as a Sheriff’s deputy when he’s not fighting, spent four years as an amateur before deciding to make the move to the professional circuit in late 2014. His ammy run included six wins — five of which were stoppages — and just a split-decision loss. He continued his success as a pro with submissions of his first two opponents. He was knocked out in his third fight by Peter Stanonik, who is now a very modest 5-4. Park recovered to the tune of seven straight wins, all finishes. His victories have come against various levels of competition, from a formerly undefeated Misael Iñarritu to a 2-10 Bounmy Somchay. 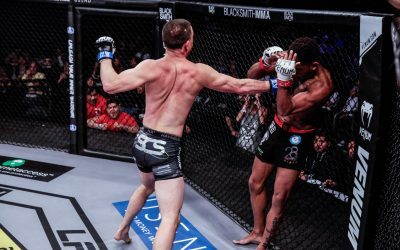 His winning streak was snapped when he joined the LFA and made his promotional debut at LFA 39 against Austin Hubbard, who claimed a unanimous decision for the victory. 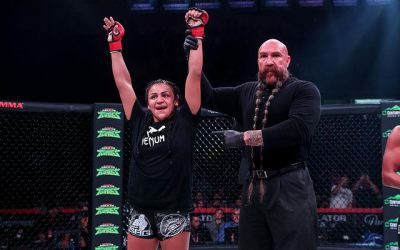 Park has since bounced back to edge Le’Ville Simpson on the scorecards at LFA 53. Overall, Park has scored five knockouts and four submissions. Park has suggested that he’s seeking a knockout here, but that could be easier said than done. Willis is a big fighter who is making his first cut to 155 pounds after a career spent at 170. 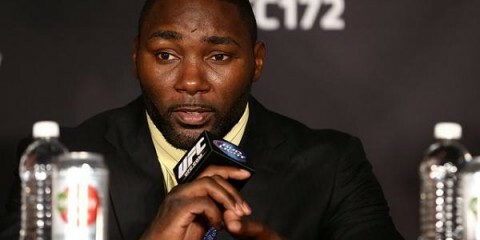 Unless he’s severely drained by the cut, he should be the bigger and more powerful fighter. 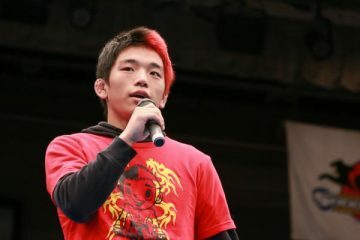 Park thinks Willis will rely on wrestling and grappling techniques, but this is a fighter who has five first-round knockouts in his career. If this one stays on the feet, Park is equally in danger of having his lights turned out. Willis is a strong fighter who held his own with the aforementioned Stewart for three rounds in a back-and-forth battle. 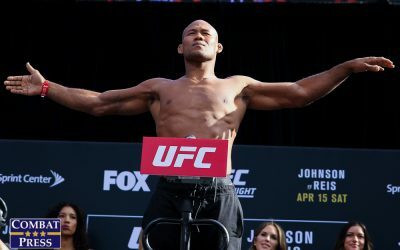 While Stewart may have lost his recent UFC debut to Chance Rencountre, he’s still a highly regarded fighter who had only previously lost to James Nakashima. Willis has also registered notable wins over two formerly undefeated fighters. 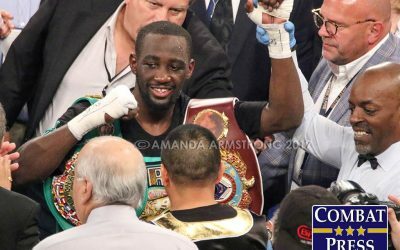 While he’s had to settle for the judges to award him his wins a lot lately, he did find the quick stoppage against Erwin-Davis to prove that he’s still a huge threat when he unleashes his striking arsenal. Park looked strong in his fight against Simpson. He overcame adversity — he fractured his right ring finger to the point where the bone was showing — and ragdolled his opponent at times. If anything, Park could be considered the bigger threat on the mat, where he has put away four opponents with submissions. This should be another grueling battle for both of these men. It’ll be a back-and-forth affair, but Willis’s past experience against high-level prospects and his size advantage as a former welterweight are enough to make him the favorite here. The fight is likely to go the distance, and it’ll be Willis who has his hand raised when the dust settles. M-1 Global’s event-numbering has gone a bit off the rails. 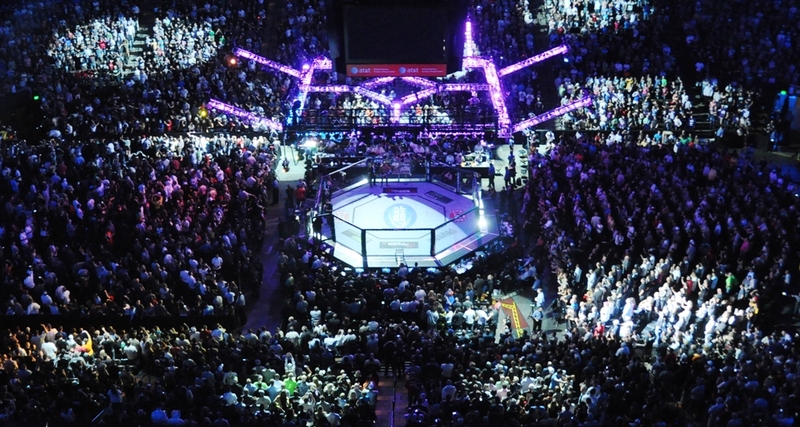 Most MMA news sites, this one included, called December’s Battle in Atyrau the promotion’s 100th Challenge event. Evidently, the Russian promotion had different plans, and here we are, with another M-1 Challenge card that will be referred to as the 100th show for the Challenge series. Furthermore, the Russian organization has teamed up with World Kings Glory to co-promote the anniversary show in China. The lineup is full of notable veterans, but the lightweight clash between M-1 champion Roman Bogatov and challenger Michel Silva takes center stage. Bogatov’s pro career kicked off in 2016 with a win over a sub-.500 opponent, but most of his adversaries have sported solid records. 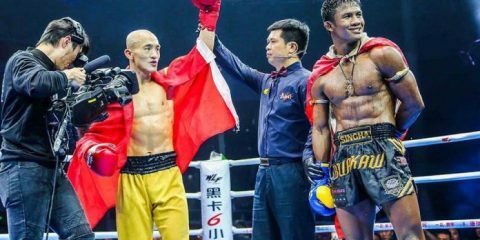 He has handed two pro fighters their first career losses, and he also scored decisions against veterans Jani Salmi, Raul Tutarauli and Rubenilton Pereira. Bogatov is a skilled grappler who has registered four victories by way of submission. His first fight with a major promotion came under the Fight Nights Global banner, where he handed out the first pro loss to Artur Zainukov. The remainder of his fights have come for M-1, beginning with first-round submissions of Aleksey Sotnikov and Rico Franco. His most recent victory, over the aforementioned Pereira, netted the Russian the lightweight title. Silva is nearing a decade in the sport. He made his debut in 2009 and won six of his first seven fights via some form of knockout. The Brazilian’s only loss in this stretch came via decision against UFC fighter Alan Patrick. Silva has had his ups and downs since this initial surge. He went 5-1-1 over his next seven outings and then posted a 7-2 run before finally hitting a significant skid. Along the way, he registered numerous knockout finishes. He lost all three of his contests in 2017 by way of decision against established veterans, but recovered to score his first submission stoppage in an M-1 outing against Bolin Li. Of those three losses, only one was a unanimous nod against him. The 29-year-old Brazilian has come on strong since finishing Li. 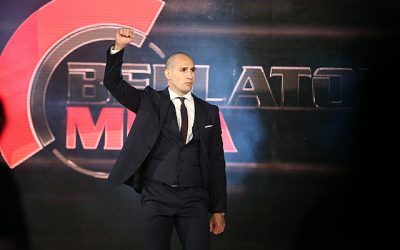 At M-1 Challenge 96, he became the first man to beat Alexey Ilyenko when he overwhelmed Ilyenko with strikes just 94 seconds into the contest to force a referee stoppage. Most recently, he also became the first man to defeat Magomedkamil Malikov when he scored a submission in the second round of their M-1 Challenge 99 affair. Overall, Silva, a product of the Evolução Thai gym, has 15 knockouts and just two submissions. All of his losses have come on the scorecards. Silva does have enough notable victories on his lengthy record to suggest that he’s a legitimate spoiler for Bogatov, just like he was for Ilyenko and Malikov. Silva holds wins over the likes of Ciro Rodrigues and Diogo Cavalcanti. He’s gone the distance with the aforementioned Patrick and engaged in a losing effort against grizzled veteran Jamil Silveira that also made it to the final bell. The problem is that the Brazilian has also faltered far too often against fighters with significant winning marks. This makes it a question of whether Bogatov is just another young up-and-comer with two few tough fights on his resume or if he’s a legitimate prospect who can follow in the footsteps of Alexey Makhno and Pavel Gordeev to hand Silva a loss. Bogatov’s recent streak of victories suggest that he could indeed fall into the latter category. Silva is likely to run into the same problems that Pereira faced with Bogatov: relentless takedowns and improved striking. The big difference is that Pereira relies more heavily on his submission game, whereas Silva is a legitimate head hunter. If Bogatov opts to stand with Silva, there’s a chance that the Brazilian tears him apart and scores the knockout. 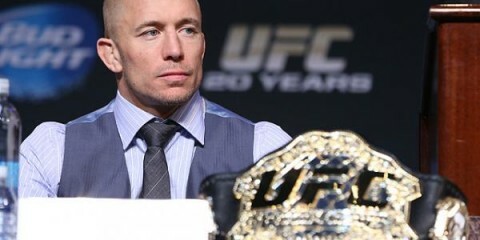 However, the Russian and his camp are sure to know what Silva brings to the table. Therefore, we can expect to see even more wrestling and grappling from Bogatov than we did in his title-winning performance against Pereira. This one’s going to the ground early and often. Silva’s not easy to stop, and he’s great at keeping fights close, so this one could end in something other than a unanimous decision. However, it will go Bogatov’s way.